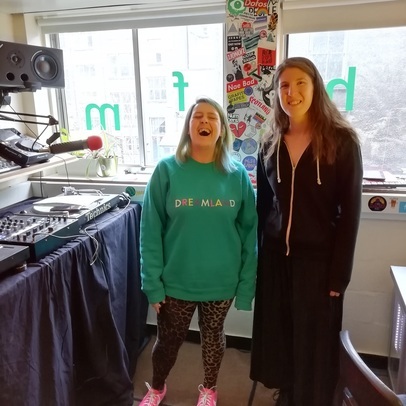 On Monday 18 March we – Tallah Brash (Music Editor) and Nadia Younes (Clubs Editor) – launched a new weekly radio show on Edinburgh community station EH-FM. The station, based, like us, in Summerhall, officially started broadcasting on 17 July last year and have just opened up their scheduling to include Mondays, which is where we come in. Our weekly show will run every Monday from 12-2pm and will offer a glimpse at what's on that week in the world of gigs and clubs, with inane chat from the two of us and occasional mistakes. We're only human after all! Listen back to our first show, in all its slightly nervous glory, in the below Mixcloud player.